I’m always looking for new recipes or restaurants to try out for my family. I recently discovered a great site, The Daily Meal, which is a website that is basically all things food and drink. Whether you’re looking for a recipe or going to a new city and need to find a great restaurant, this site should be your go-to! In doing some browsing around, I discovered that they had a post on 50 unsuspected uses for coconut oil. I began reading it and obviously found some great unique uses; I even found some new ones that I had never heard of before, like making your own ice cream! I’d like to share some of my favorite ideas that I found throughout the post. Make Your Own Ice Cream – I have personally never heard of this but it’s a really simple recipe. Blend together 3 frozen bananas, a handful of nuts, a teaspoon of coconut oil and an ice cube or two. You could even try experimenting with different fruits to cater to your taste buds. 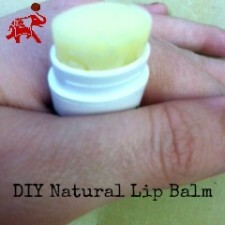 your lips for instant relief. 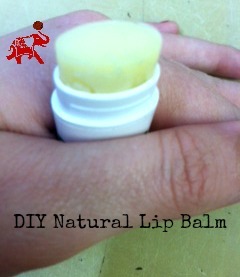 Or you can try our DIY Lip Balm with only a few ingredients. Thyroid Function – According to The Daily Meal, you may consume coconut oil regularly to boost healthy thyroid function. This is a great natural way to improve health. Replace Butter with Coconut Oil – A favorite of ours! Simply replace your butter with coconut oil in an easy 1 to 1 ratio. Oil Pulling – Some think it’s weird, but others swear by it! Read about Michelle’s experience and thoughts. To read all of the additional uses that The Daily Meal came up with be sure to visit their site. If you think 50 uses is a lot, Jennifer over at Hybrid Rasta Mama has come up with OVER 330 uses for this wonderful oil! We also like to experiment for ourselves and try new recipes so don’t hesitate to browse around for your favorite recipe or to find a new trick or tip for using coconut oil in your daily routine. Make sure to leave your favorite unique use below!